We’re BACK! The final leg of The 20/20 Experience World Tour is in full swing and has been hitting the stage from the Pacific Northwest all the way down to the Lone Star State. Since no one wants to see the tour end, The Tennessee Kids, Justin, and of course, the fans are bringing out that extra energy to make the tour's last leg one to remember. Some of our favorite photos from Portland, Oakland, Inglewood, Anaheim, Vegas, Houston, and Dallas are below! Thank you to all the creative social reporters featured! There are only ten shows left, but you still have a chance to see Justin and The Tennessee Kids one last time! Get your tickets HERE. Be sure to stay tuned for more social reports covering the last leg of the tour! 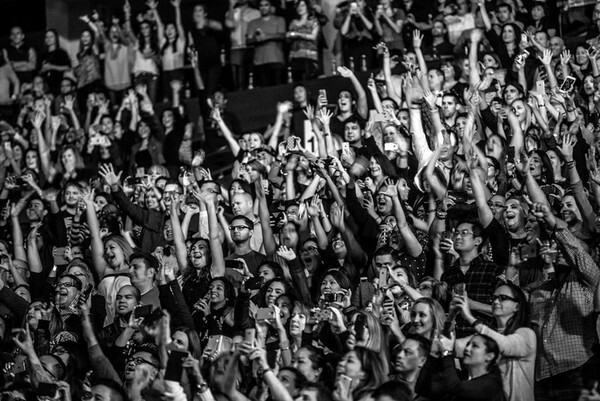 Remember to use #JT2020Tour if you take picturess at the shows, and you could see them featured here in the next report! In Portland, The 20/20 Experience was one of the biggest shows to ever come to the city. The Moda Center was completely sold out and the crowd was ready to party. Midway through the show Justin raised his Suaza 901 shot to the crowd saying, "I never tell a lie. This is one of the craziest crowds we've ever had." Justin and The Tennessee Kids were so excited to be back on the stage in California. Justin did a few shout outs to "Oaklaaaaand!" and "San Fran!" and the crowd was giving good energy right back! "It's your birthday? Today?" asked Justin. "What's your name? Cassidy? Are you driving? Did you Uber? No? You're not driving? Imma get you a shot then." From @Brunasouza: If I could say anything to @justintimberlake and @thetnkids it would be: thank you! I’ve been to 17ish concerts for the #JT2020Tour all over US and Canada (Toronto, Montreal, Ottawa, Chicago, NY, Kansas, LA, Anaheim, Vegas, and Houston), met met some really nice people and had an amazing time! This is my box of little ‘treasures’ with credentials, tickets and a few things I collected along the way… Love you all! The show in Anaheim was the day before Thanksgiving. Everyone was getting into the holiday spirit - especially Justin and The Tennesee Kids who were ready to party! "It's going to be a hot one tonight, Anaheim...Right now it's an 8.5, and I wanna turn it up to a 10!" Justin proclaimed. Let's just say the Anaheim crowd turned it up! It's was a fun show in Vegas. The city knows how to party! The show in Houston was almost a year to the day from the Houston stop of the first leg of The 20/20 Experience World Tour. At the show Justin, toasted to the South - "This is to the South, baby." From @justinjames99 (American football defensive end for the Houston Texans of the National Football League): Mr. Do-It-All... So many talents, such a great work ethic. Great seeing you last night @justintimberlake. Dallas represented at the show last night! Dancing the whole night! A few lucky ladies even got a selfie with the man himself. Really happy to see "me" there! I already miss the tour! I remember that I went to the concert in Inglewood last month. This is a my first JT's concert. Los Angeles was very far from Japan, but the concert was very very FUN!! Thank you for @jtimberlake & @THETNKIDS!!!!! I love all the pictures!! I like to see everyone's perspective of every show. It's almost like your there, everyone's reactions and captions of the pictures are awesome to look at!! Love the social reporting great job to everyone, it makes us all feel as if we are there. Even tho I can't wait until I'm there live again. 4 days!!! I have to say I just love that JT/Fan Selfie pic! I think that one is my all time favorite!